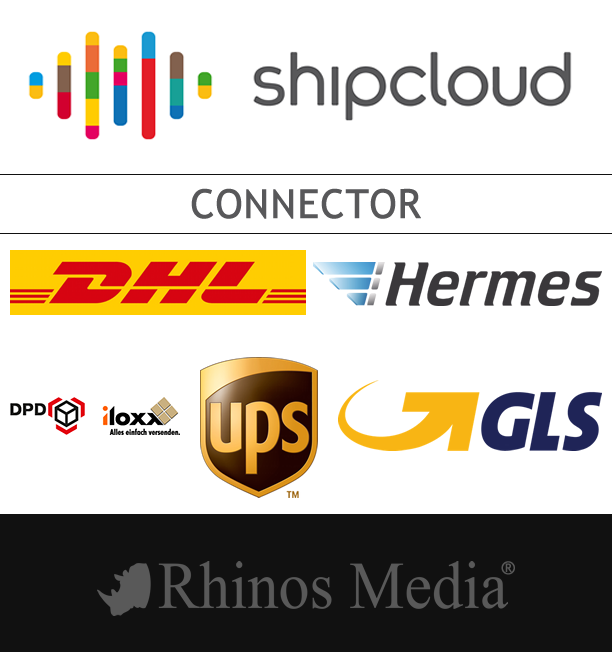 OXID eXchange | shipcloud Connector DHL DPD UPS Hermes GLS 1.2.2 | Stable | EE, PE | 4.10.x/5.3.x - 4.9.x/5.2.x | Module, Themes, Language Packs direkt herunterladen! Our goal is to offer you a simple and consistent interface to all major freight carriers to offer that you can integrate easily into their shipping processes and adheres to today's standards in software development. With this module, the interface is integrated in the shop. The dispatch of a packet and constructing a shipping label is possible from the shop backend. Warning: From Version 1.1 you can choose express delivery service and generate returns label.